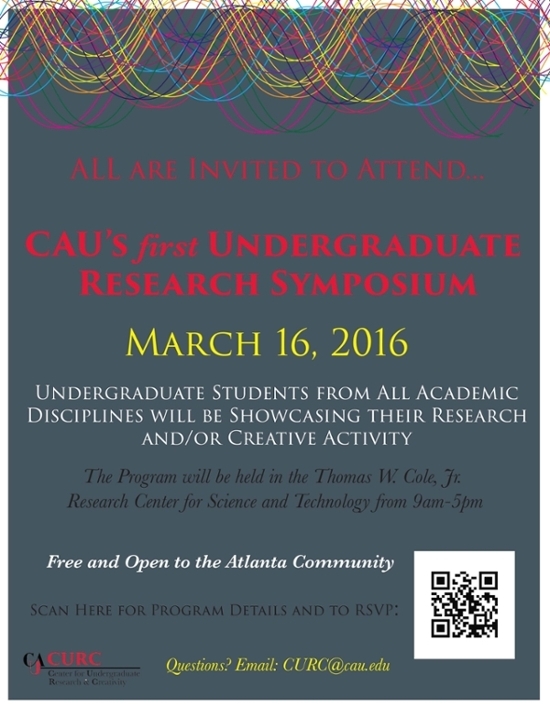 CAU's Center for Undergraduate Research and Creativity (CURC) is hosting a symposium for all undergraduate students and their faculty mentors. Prizes will be awarded! Sign up HERE.